All registered charities are now required to adhere to the new financial reporting and assurance standards as legalised by the Ministry of Business, Innovation and Employment (MBIE). The new accounting standards applying to charities and not-for-profit entities have been passed by Parliament and include the minimum assurance requirements for all charities. If total operating expenditure for each of the previous two accounting periods was over $500,000 (medium), the financial statements must be either audited or reviewed by a qualified auditor. If total operating expenditure for each of the previous two accounting periods was over $1 million (large), the financial statements must be audited by a qualified auditor. In some cases a registered charity with total operating expenditure less than $500,000 will also need to undertake an audit or review, for example if required by its trust deed, constitution or charter. 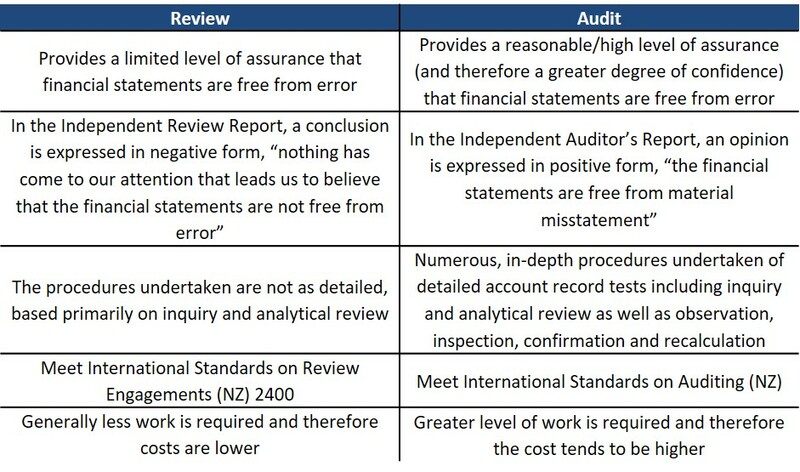 What’s the Difference Between a Review and an Audit? If your charity organisation is classed as medium (based on total operating expenditure greater than $500,000), it is worth weighing up the benefits of an audit versus a review. The lower level of assurance provided by reviews may increase the risk to your organisation of unidentified errors. Being a more thorough and detailed process, an audit not only provides a much higher level of assurance but can also uncover valuable insights such as identifying risks, highlighting potential opportunities and providing useful information to improve the day-to-day operations. UHY Haines Norton are skilled auditors with experience providing charity reviews and charity audits for not-for-profit and charity organisations of all sizes. For all Audit enquiries please contact Audit Director Bhavin Sanghavi on (09) 839-0248 or email bhavins@uhyhn.co.nz.